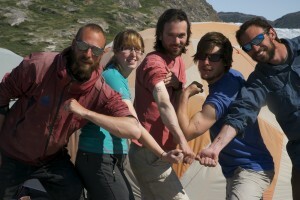 After two and a half months our field season in Greenland is finally over. 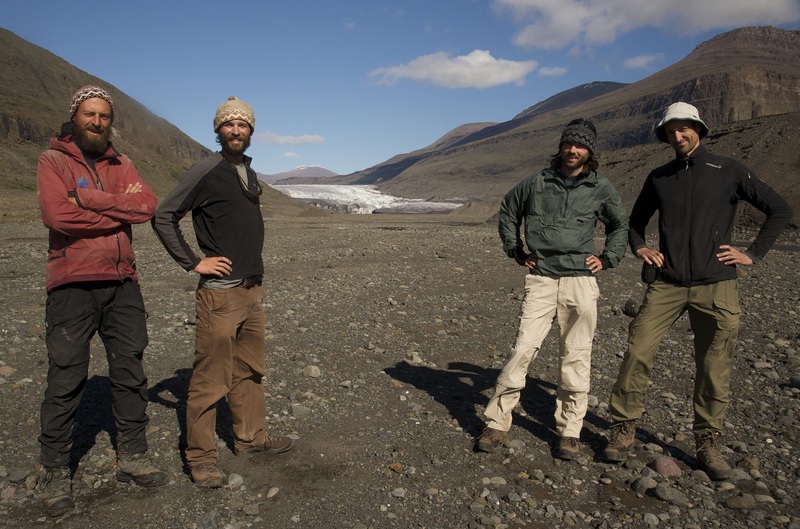 We have collected a number of samples from different subglacial sites and settings, including subglacial river draining a large ice sheet catchment and exporting subglacial material from deep beneath the ice, old sediment melting out of a retreating outlet glacier, and young basal ice of a recently surged glacier. 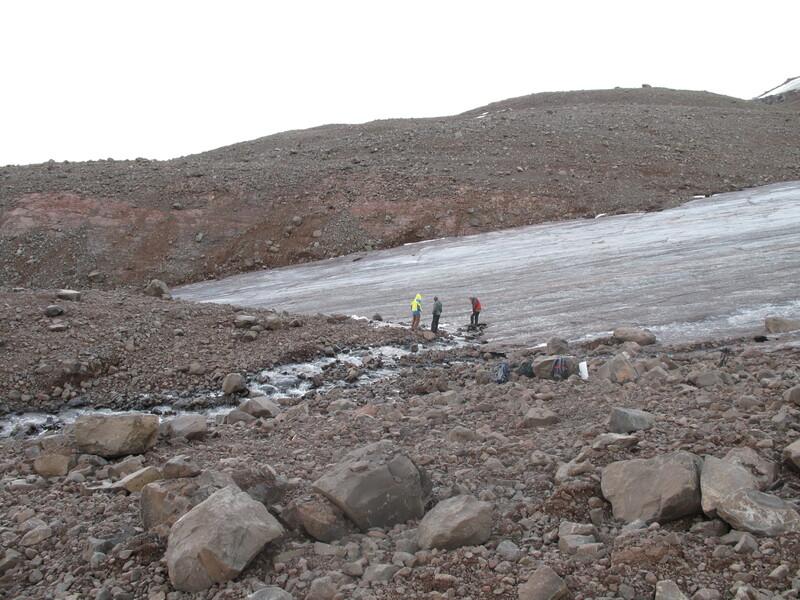 We will analyse the samples in the coming months and hope that the results will tell us more about the fate of organic carbon in subglacial ecosystems (and in their bright future). We would like to thank all our colleagues, collaborators and field helpers at Camp Doom (scientists associated with Jemma Wadham‘s DELVE project, including our fellow camp(doom)ers Jon Hawkings, Guillaume Lamarche-Gagnon and Jade Hatton, from the University of Bristol, UK) and Camp Disko’M’Fort (Jacob Yde from Sogn og Fjordane University College, Norway), without which we would have had far fewer samples and much less fun. Team Disko’M’Fort from left to right: Jakub, Tyler, Marek, Jacob Yde. Kuannersuit Sermia in the background.